Essential Products confirmed that its first mobile device, the Essential Phone, is no longer available. "We are sold out of Essential Phone on essential.com and won’t be adding any new inventory," said Essential in a statement provided to Droid-Life. "We are now hard at work on our next mobile product and will continue to sell accessories and provide speedy software updates and customer support to our existing community." 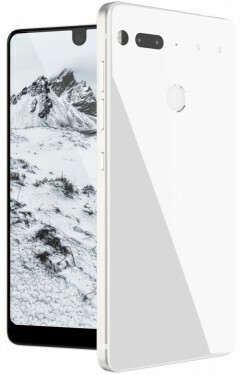 The Essential Phone went on sale in the summer months of 2017. The high-end Android device failed to resonate with consumers. In recent months the phone has been offered at a deep discount. Essential had a tough year. Executive Andy Rubin was forced to step aside for a short time after he was said to have received a $90 million severance package from Google despite claims of sexual harassment made against him. Rubin later rejoined Essential, but the company shifted gears and laid off staff amid the changes. Essential has not expounded on what its "next mobile product" will be. Essential Products has acquired CloudMagic, the company behind the Newton email service. Essential told TechCrunch that it is "always on the lookout for companies with great technology and talent to help accelerate our product roadmap." The deal has sparked curiosity, as CloudMagic shut Newton down in September, stranding about 40,000 subscribers who'd paid for the service. Essential's future is unclear. The company's only phone, the Essential Phone, did not resonate with consumers. Essential dropped about one-third of its hardware staff in October. It has not announced any new products for some time. Essential Products today said the magnetic snap-on headphone jack it announced over the summer is available for the Essential Phone. 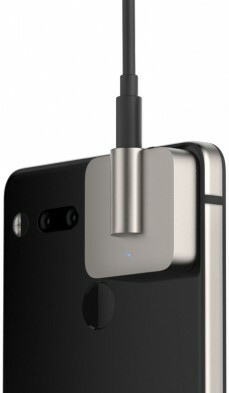 Like existing Essential Phone accessories, the 3.5mm headphone jack is a modular attachment that affixes to two small poles on the rear of the phone. With the mod attached, Essential Phone owners can plug in and enjoy their favorite pair of wired headphones. The Audio Adapter HD features a high-resolution ESS Sabre DAC with hardware rendering and an audiophile-grade amp that can power high-end headphones. Essential updated the Essential Phone itself earlier this year to deliver higher-quality audio through support for Master Quality Authenticated (MQA) for studio quality sound. The Audio Adapter HD is available from Essential's web site for $149. Essential Products has laid off 30% of its staff, reports Bloomberg, amidst a reorganizing effort that promises to deliver a "game changing consumer product." Several months ago, the Andy Rubin-run company cancelled plans to create a second version of the PH-1 Essential Phone, and also cancelled a home-focused product. Essential is now working on a smaller mobile device, but has not said when this new form factor might reach the market. 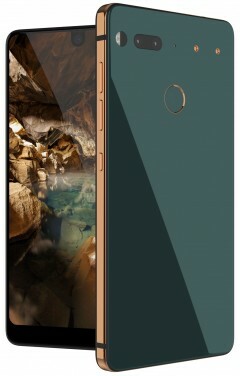 The Essential Phone was one of the first to feature an all-screen face and notch. Google today provided details concerning the October security update for Android. Google says the newest patch solves a number of vulnerabilities in the Android source code impacting the framework, media framework, system, and kernel. The most critical issue was centered in the framework and "could enable a remote attacker using a specially crafted file to execute arbitrary code within the context of a privileged process." As far as Google knows, none of the security lapses were exploited for any means by hackers. Google revealed these problems to its OEM partners a month ago. The company is making two updates available, one dated October 1 and the other dated October 5. These updates should reach Google's branded Pixel and Nexus devices over the next week or so. The company plans to distribute the patched code to AOSP within 48 hours. Following Google's announcement, Essential Products said it, too, is offering its own PH-1 Essential Phone the same security patches. Further, the update from Essential brings back support for notch controls. Owners of the Essential Phone can expect to receive the update in the next few days. The Essential Phone is among the first to receive the September security patch. "We just released a software update that includes September Google Security Patches along with various audio and accessibility fixes," said the company on its Twitter account. "Check your Essential Phone now for the update." Google releases new security patches for Android at the beginning of each month. Typically, its own Pixel and Nexus devices are first in line to receive the updated software. Essential Products has made these security updates a priority, which is good news for end users. Essential Phone owners can update their device via the settings menu. Essential Products today said owners of the PH1 can expect to receive Android 9 Pie over the next few days. “We’re proud to bring Android 9 Pie to Essential Phone the same day it’s released! Check your phone now for the update,” said the company via its Twitter account. Essential has allowed PH1 owners to beta test Android 9 over the last few months. Like the Pixel phones, the Essential Phone will gain Android 9 via over-the-air update. Essential Products today said owners of the Essential Phone who are participating in the Android P beta can download the latest code. The news follows Google’s recent release of the near-final OS. In addition to Android P, the software update from Essential includes bug fixes and performance improvements. Details are available on Essential’s web site. Essential Products today revealed the latest magnetic accessory for the Essential Phone: a snap-on headphone jack. Like the existing camera accessory, the 3.5mm headphone jack is a modular attachment that affixes to two small poles on the rear of the phone. With the mod attached, Essential Phone owners can plug in and enjoy their favorite pair of wired headphones. Essential said the Audio Adapter HD features a high-resolution ESS Sabre DAC with hardware rendering and an audiophile-grade amp that can power high-end headphones. In addition to the physical accessory, Essential updated the phone’s audio powers via software. The device is now tuned and calibrated to support Master Quality Authenticated (MQA) for studio master quality sound. Going hand-in-hand with MQA is new support for the Tidal music streaming service. Customers can check out Tidal HiFi for free with a new three-month trial. The Audio Adapter HD will go on sale later this summer. Essential Products is matching Google’s Android P release schedule. Earlier this week Google released Android P Beta 2 to developers. Google made the update available to its own Pixel and Nexus phones. Less than a day later, Essential is also releasing the Android P developer preview to its own phone. “Android P is moving from Dev Preview to Beta on Essential Phone,” said the company on its Twitter account. “This update, rolling out now, includes the latest Android P code integration, improved adaptive brightness range, various stability fixes and June Security Patches.” People who own the Essential PH-1 can read more about the Android P beta on Essential’s web site. Essential Products is for sale, reports Bloomberg, and has cancelled plans to develop a new phone. The company has hired a financial firm in order to help advise it on a potential sale, according to Bloomberg's sources, who also say Essential has already received interest from one possible buyer. Essential, part of Andy Rubin's Playground Global tech incubator, announced the Essential Phone at about this time last year. The phone was unique thanks to its ceramic design, all-screen face, and magnetic mod system. The phone was sold by Sprint in the U.S., as well as unlocked directly from Essential. The $700 device struggled to find buyers, however, due to poor camera and call performance. Bloomberg's sources suggest as few as 150,000 Essential phones have sold since its August 2017 launch. Essential raised around $300 million in funding and spent about $100 million of it developing the Essential Phone. The company is exploring a sale of the entire company, including hardware, patents, a smart home product, and a camera attachment for the phone. It's not clear what might happen to Essential's employees. Andy Rubin is known for developing the initial Android platform. Essential did not comment on Bloomberg's story. 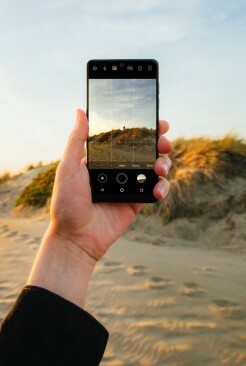 Essential today said it has published a new version of the camera app for its PH-1 phone. Most significantly, the app has been given a fresh coat of paint with new icons that should make it easier to see and switch between photos, videos, and other modes. 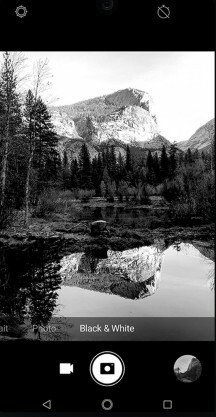 The app renames the Monochrome shooting mode as Black & White, which Essential says is "a bit more familiar" to end users. Last, the app gains stability and performance tweaks. The Essential camera application is free for owners of the PH-1 to download from the Google Play Store. Essential Products is rolling out a new software update for its PH-1 smartphone. The system upgrade boosts the core code from Android 8 to Android 8.1 and includes a number of performance tweaks. For example, the phone should now properly interact with external game controllers. The update includes the April security patch from Google and also introduces support for Bluetooth 5.0. Essential said the update is available to download and install over the air. 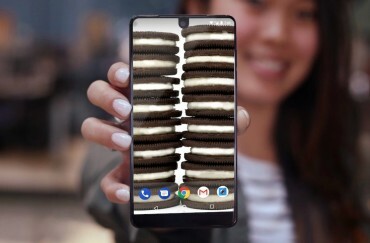 Essential Products today said that the PH-1 Essential Phone is now receiving the Android Oreo 8.1 update. Essential says both beta testers and general users should be able to check for and download the update via the systems settings. Essential had been testing the Oreo build in beta for the last few months. Core improvement include notification dots, picture-in-picture, and autofill. The update is free to install. Essential Products today outed a fourth new color of its PH-1 Essential Phone that's exclusive to Amazon. The Halo Gray version of the Essential Phone is available for preorder from Amazon.com for $449 starting today. In addition to the fresh coat of paint, this Amazon exclusive ships with the Alexa app preinstalled. It will ship starting February 21. Essential recently revealed new black, blue, and gray models that are for sale directly from Essential's web site. 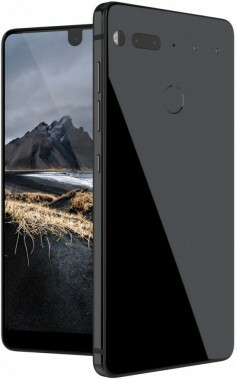 The Essential Phone includes an edge-to-edge display, 13-megapixel rear cameras, 128 GB of storage, Snapdragon 835 processor, and magnetic connectors for modular attachments. Essential Products is pushing Android 8.1 Oreo to its PH-1 Essential Phone with bug and other fixes aboard. Essential says the update includes the February security patches from Google, dynamic calendar and clock icons, a fix for the slow-scrolling jitter issue, and more. Essential is calling the 8.1 release a beta. It is free to download over the air. 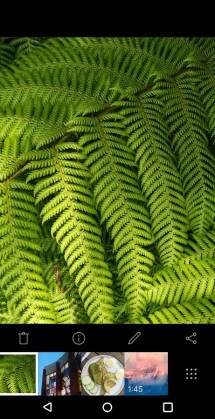 The company recently delivered significant updates to the phone's camera. Essential Products today pushed an update to the camera application for the Essential Phone. The update "adds Auto-HDR, a new HDR algorithm that improves camera performance and scene rendering, dynamic HDR and Flash indicators, and various stability fixes," said Essential Products through its Twitter account. The camera received negative reviews when the phone first launched and Essential's software team has been tweaking it consistently since. The revised app is available to the Essential Phone through the Google Play Store. Essential Products today said it is rolling out a system update to the PH-1 smartphone that includes the February 2018 security patch from Google. Essential pushes updates to the PH-1 regularly and has recently made improvements to the camera. The security update should reach all devices over the next few days. Essential Products said via its Twitter account that it will not update the Essential Phone to Android 8.0 Oreo. Instead, it intends to update the handset directly to Android 8.1. The company said it "discovered several stability issues" in Android 8.0 that gave it cause for concern. It will instead focus its efforts on Android 8.1. It expects to release the Android 8.1 beta early next month and will go from there. Essential hopes customers won't mind waiting an extra few weeks for the system update. Essential Products has updated the camera app for the PH-1 smartphone and in so doing added several new features. To start, the app now includes a portrait mode, allowing people to take images of friends and family with blurred backgrounds. The exposure compensation tool is now available in all camera shooting modes, which gives people more control over their results. Essential says the camera app now has lower jpeg compression for improved image quality. Last, the update fixes bugs and fine-tunes performance. The Essential camera application is available to PH-1 owners via the Play Store. Andy Rubin is taking some time away from Essential Products, where he is CEO. The company's day-to-day operations will be handled by president Niccolo de Masi during Rubin's absence. The timing of Rubin's leave coincides with a report from The Information that said Rubin had an inappropriate relationship with an employee during his time at Google. Google investigated the relationship in 2013 and concluded that "Rubin’s behavior was improper and showed bad judgement." He was moved after the investigation from the Android team to Google's robotics division. Rubin later left Google and founded Essential Products. Essential insists the timing of Rubin's leave is not related to The Information's report. "At our last regularly scheduled board meeting earlier in November, Andy asked for a leave of absence to deal with personal matters," said the company in a statement provided to The Verge. Essential makes the PH-1 smartphone, a high-end Android handset. The PH-1 went on sale earlier this year for $699, but has since been discounted to $499 amidst slow sales. The device is available unlocked from Essential, and it is also sold by Sprint. Essential Products has made Android 8 Oreo available to its PH-1 smartphone in beta form. Essential hopes users will test the beta platform and report bugs or other problems so the code may be cleaned up ahead of the software's general release. The beta cannot be installed over the air and will require a bit of know-how to shoehorn onto the PH-1. Interested PH-1 owners will need to download the operating system to their PC and then sideload it to the handset via ADB. Anyone not familiar with that process should not attempt to install Android 8 Oreo on their PH-1. Essential did say that testers will be able to revert back to the latest production software if they find the beta too buggy. The beta will not negate the PH-1's warranty, though Essential warns that it has not been carrier tested. The instructions and necessary files are available from Essential's web site. Essential Products today said it has a new software patch for the PH-1 smartphone. The latest build (NMJ20D) improves touch scrolling, patches the KRACK wifi vulnerability, and makes other small tweaks and improvements along the way. The patch is small enough for an over-the-air download and is already being pushed out to PH-1 owners. Essential recently dropped the price of the PH-1 from $699 to $499. It is also offering additional discounts on some accessories, and PH1 purchases for those who've already bought at least one PH-1. The PH-1 was created by Andy Rubin, who helped develop the Android operating system. The PH-1 is a high-end device with large display, powerful camera, and Snapdragon 835 processor. Essential Products today dropped the price of its PH-1 smartphone by $200. In order to score the new price, consumers will need to order the phone from Essential.com. The company thanked its early supporters, who are being offered a $200 friends and family gift card toward the purchase of an Essential 360 Camera or another Essential PH-1. "At Essential, one of our driving principles is that premium craftsmanship and the latest technologies shouldn’t be for the few," explained the company in a blog post. "We could have created a massive TV campaign to capture your attention, but we think making it easier for people to get their hands on our first products is a better way to get to know us." Essential Products is spearheaded by Andy Rubin, who helped create the Android operating system. The PH-1 is a high-end handset with a large screen, bezel-less design, and top specs. The phone received mixed reviews when it went on sale earlier this year, mainly due to the camera. Essential has pushed several updates to improve the camera since its release. Sprint is the only U.S. operator that sells the Essential. The company has been offering a half-off lease program on the PH-1 for several weeks. "At $14.58 per month on Sprint Flex, Sprint still offers a better value on Essential Phone" than even Essential's new lower price. "Our current offer is 50% off the standard lease price," said Sprint to Phone Scoop via email. Sprint's lease program for the Essential PH-1 lasts 18 months. A company called Keyssa has filed an intellectual property lawsuit against Essential, the maker of the PH-1 smartphone, backed by former Google exec Andy Rubin. The lawsuit pertains to magnetic wireless connectors that can pass information and current from one device to another, such as the magnetic module accessory system used on the PH-1. According to Keyssa, Essential worked with the company for period of 10 months on the magnetic technology and was given trade secrets under non-disclosure agreement during that time. Eventually the relationship between the two companies dissolved and Essential picked magnetic components from a third company called SiBEAM for the PH-1. Keyssa alleges that even though Essential is using different hardware for its phone, the technology couldn't have been recreated without Keyssa's protected intellectual property. "Keyssa has not been compensated for Essential’s use of this guidance and know-how," said Keyssa in a statement provided to Reuters. "We are pursuing this action because our attempts to resolve this matter through discussions with Essential have not been successful." Keyssa is backed by Tony Fadell, who co-created the iPad when at Apple. Keyssa filed the lawsuit in federal court in San Francisco. Essential did not offer an immediate comment on the matter. Essential Products says the camera in its PH-1 smartphone should be just a bit better now thanks to some updates. The company has boosted capture speed in regular and low-light environments, as well as improved brightness and performance in low-light images. The company updated its 360-degree camera accessory, too, which can now capture spatial sound when shooting video. The volume up/down keys act as shutter buttons in 360 mode, and can act as a countdown timer if so desired. In order to score these changes, PH-1 owners will need to update to the latest system build (NMI81C) and then update the camera application via the Google Play Store. Essential has more updates planned for its camera app (better HDR, portrait, and pro modes) planned for the weeks ahead. Essential Products today indicated that its smartphone, the PH-1, will eventually receive the latest system update from Google. "Get your milk ready — #AndroidOreo is coming soon to Essential Phone. Watch for updates in the next couple months," said the company through its Twitter account. So far, Android 8 Oreo is only available to the Google Pixel, Pixel XL, Nexus 5X, and Nexus 6P handsets. Sony's Xperia XZ1 will ship with Oreo in several weeks. Motorola has committed to updating a slew of its mid-range and high-end phones to Oreo over the next few months. Other flagship makers, including Samsung and LG, have been less clear on when their high-end phones will see Oreo. Essential Products says its smartphone, the PH-1, is now fully able to run on Verizon Wireless's network. The company announced the news via its Twitter account. Essential didn't say what changed, or what it might have updated to make the phone work more properly on Verizon's network. The handset is already for sale unlocked and from Sprint. Verizon does not actually sell the phone. The PH-1 is a high-end Android handset with a bezel-less design. It supports magnetic modules that attach on the back via magnets. It costs $699. Sprint today announced that the Essential Phone will go on sale through all Sprint channels — including stores — on September 14th. The high-end, bezel-free phone is already available unlocked. 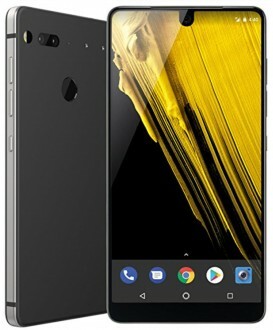 Sprint today began accepting preorders for the Essential PH-1 smartphone. Sprint is offering the phone at a significant savings through its lease program when compared to buying the phone outright directly from Essential. The PH-1 is available to Sprint customers for $14.58 per month through a Sprint Flex 18-Month Lease, which totals about $260 under the full retail cost of $699. At the end of the lease period, Essential lessees can opt to pay off the balance or turn the phone in for something else. Sprint is also offering the Essential 360-degree modular camera attachment for $199, or $16.67 per month for 12 months on an installment plan. The black version will be available in stores within a few weeks, according to Sprint, with the white model following at a later date. Sprint says the phone supports three-channel carrier aggregation on its network and can hit theoretical download speeds in excess of 200 Mbps. 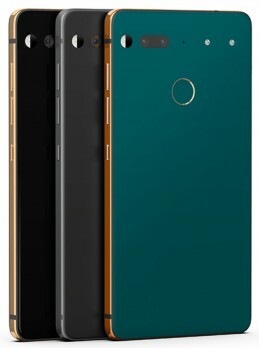 Essential recently emailed customers who preordered the phone and informed them that the PH-1 will ship in about a week. The Essential PH-1 has a bezelless design, a magnetic mod system, dual cameras, and a Snapdragon 835 processor. Andy Rubin today provided an update concerning the expected arrival of his new company's Essential PH-1 smartphone. "We’ve been hard at work getting everything ready and the good news is that we’re now going through certification and testing with multiple U.S. and international carriers," said Rubin in an email to supporters. "You might be getting impatient to get your hands on your new Essential Phone (and I’m also impatient to get it to you!) but rest assured that you will have a device in your hands in a few weeks." Rubin said his team is "sweating the details and working long hours to get this device shipped." Rubin had previously committed to shipping the phone by the end of June. It now appears the device will arrive in August. 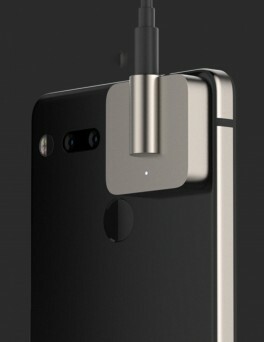 The Essential PH-1 has a unique, magnet-based system for accepting modular attachments, such as a 360-degree camera, on the back panel. It includes a 5.7-inch quad HD screen with curved corners, Snapdragon 835 processor, and dual rear cameras. It will run a near-stock version of Android 7 Nougat and ship completely devoid of brand names or logos. 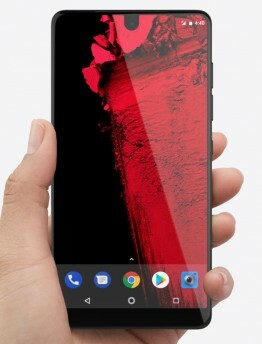 Essential will sell the PH-1 directly to consumers, though Sprint also plans to carry the phone. It costs $699.